11 Jul 2008, NEW DELHI: As Rajesh Talwar, his compounder Krishna and Rajkumar, the Durranis' domestic help, appeared in a Ghaziabad court for a hearing in the Aarushi murder case, the CBI held a press conference at its headquarters around the same time on Friday. However, CBI made it clear that all revelations were based on the narco-analysis and lie detector test and the agency still has to find corroborative evidence to nail the guilty. The agency said there is no substantial evidence against the Talwars and that there was no certainty about the turn the probe might take. The CBI also said that Noida police had no evidence against Rajesh Talwar when it arrested him in May. CBI said the Noida police’s charge that Rajesh Talwar was angry with his daughter as he had allegedly seen her in a "compromising" position was based on a statement made by one of the accused Krishna. Giving a clean chit to Dr Rajesh Talwar for now, the CBI asked the special court in Ghaziabad to pass an appropriate order accordingly. Addressing the press conference, CBI Joint Director Arun Kumar presented a status report on the case. Arun Kumar added that Krishna misled investigators but he later confessed to the crime in the narco test. 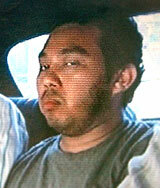 He also took names of Durranis’ servant Rajkumar and another person Vijay Mandal, as being involved in the crime. Reconstructing the scene of crime, Arun Kumar said Rajkumar, Krishna and Talwar's domestic help Hemraj, consumed alcohol, went to Aarushi's room, gagged her and tried to sexually assault her. A scuffle broke out between Rajkumar, Krishna and Hemraj in Aarushi's room. Kumar and Krishna took Hemraj to the terrace and killed him, said Arun Kumar. Arun Kumar said Rajkumar, in his narco-analysis test, confessed he and Krishna then went back to Aarushi's room, hit her with a sharp object before slitting her throat. The Joint Director said though the first polygraph test conducted on Dr Rajesh Talwar proved inconclusive, no deception was found in the second test. Nupur Talwar's polygraph tests showed similar results, he said. The CBI said it had also subjected the Talwar couple to a psycho-analysis test at AIIMS, Delhi. These tests were also clear. Meanwhile, CBI has arrested the third accused Vijay Mandal and has produced him in the court. On the other hand, Dr Rajesh Talwar has been produced in the designated CBI court and is expected to be released on bail. Regarding the reasons behind the CBI’s belief that the servants were involved, Arun Kumar said that the investigation into the crime scene revealed that the entry to the house was friendly, thereby pointing to the involvement of Hemraj. He further said that Rajkumar and Krishna have during their narco-analysis confessed to their involvement in the crime. He also revealed that Krishna had been badly scolded by Dr Talwar two days before the crime. Krishna confessed after the second scientific test, calling the murder as a case of honour killing. Recreating the crime scene, Arun Kumar said, “Krishna and Rajkumar along with Vijay Mandal went to the Talwar residence at night and was let in by Hemraj. They consumed alcohol and then entered Aarushi’s room with the intention of sexually abusing her." After she raised hue and cry, she was gagged and hit on the head with a blunt instrument. When Hemraj panicked, they ran to the terrace where they had an altercation which finally led to Hemraj being killed with a cooler’s water pump. 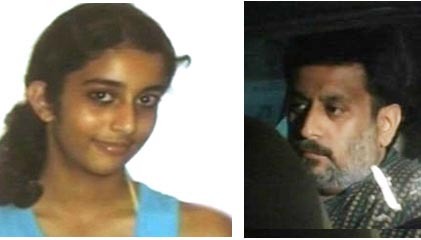 The accused then returned to Aarushi’s room and killed her to cover up their tracks. About why the parents heard no commotion, Arun Kumar said that Aarushi had a throat infection and possibly couldn’t yell out loud. Also, two ACs were on and perhaps their noise drowned the screams. Divulging the details, Kumar said that Dr Talwar’s first polygraphic test was inconclusive and in the second no deception was found. Moreover, the CBI had recreated the crime scene and had found the claim of the Talwars that they did not hear any commotion on the night when Aarushi was murdered as correct. Moreover, the psychoanalysis test of the Talwars was also pointing to the possibility that they were not involved. A day after the dramatic arrest of Dr. Rajesh Talwar in Noida for his alleged involvement in the sensational murder of his 14-year-old daughter Aarushi and the family’s domestic help Hemraj, the “mysterious” nature of the crime continues to raise many questions. While the Noida police maintained over the weekend that they had moved in the right direction, the mention of the name of one “Dinesh Varma” by Dr. Talwar after his arrest on Friday has rendered the whodunit even more complex. The name was reportedly mentioned by Dr. Talwar when he was being produced in court following his arrest. The seasoned dentist alleged that he was being framed by Dinesh. Incidentally Dinesh is also the name of Dr. Talwar’s elder brother, but his surname should also logically be Talwar. Since the doctor’s arrest on Friday, the Noida police and the Uttar Pradesh Special Task Force have been accused of cooking up a story to frame Dr. Talwar in the sensational crime. The police officer vehemently denied that the case was worked out under media pressure. The tragic story, the double murder of young girl Aarushi and her family servant Hemraj in Noida, is the one that the nation has been watching since the last week. In a dramatic development on Friday, Aarushi's father Rajesh Talwar was arrested for being behind the murder of his daughter and servant. Dr Nupur Talwar, Aarushi's mother spoke exclusively to NDTV on the tragic incident. NDTV: Nupur, this must be a very tragic time for you - your daughter is dead and your husband is in judicial custody. We understand you would not talk about the details of the case, but tell us your story. Dr Nupur Talwar: All I can say is my life has come to an end. Aarushi and Rajesh were my life. 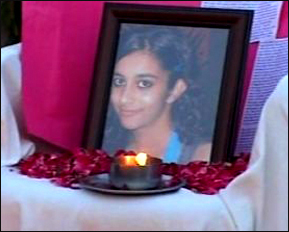 I lost Aarushi eight days ago who was murdered in a brutal way. Rajesh doted on his daughter. It couldn't be the way they are suggesting this. This is totally untrue. We were such a nice family. I always used to think I must have done something good in my last life to get such a nice family. We had so many plans for her. We were planning a holiday. We were about to celebrate her birthday. Rajesh told Aarushi to call as many friends, even if it were to become expensive. I don't know what to say. I have faith in the legal system. More than that, I have faith in God. I hope justice is done. NDTV: You have described your beautiful family. We have heard all the versions -- that he could have done it in a fit of rage. Rajesh, as you knew him, could he do something like that? Dr Nupur Talwar: Rajesh never uttered a word to her. If he had to, he used to tell me, tell her this tell her that. He used to tell me why do you get annoyed at her if she is not studying today, let her not, she will study tomorrow. I know Rajesh, his patience. Lots of people know him. He was one of the most gentle souls ever. It's not possible. It's unimaginable. NDTV: So you will back him completely? Dr Nupur Talwar: Completely, till the last minute. It is not possible. There is somebody else for sure. I hope the person is caught and justice is done. NDTV: When you hear all the rumours and speculations, what do you have to say? Dr Nupur Talwar: Sonia, I was there with Arushi. I was the one who got her home. We were together. We had dinner as a family. We watched television and then we went to sleep. We had to go to work the next day, Aarushi had school. We just had to sleep and that was the end of the day. I was there, but what is there to say about this. I was living in that house, I was sleeping next to Rajesh. It is just impossible. Do you think that any mother could sit through the house or sleep in the night and not be aware of such a thing, if her husband were to do it. It is beyond any body's imagination. Can any mother think it is possible? NDTV: The police are saying that it could be a cover up and the whole family is protecting Rajesh. What would you like to say to that? Dr Nupur Talwar: It is utter nonsense. Totally baseless. They can say what they have to but I know it is not true. My heart knows it is not true. God also knows it is not true. He was there and was watching and I am sure He will do something about it. NDTV: I know you are going to fight the legal case. I am not going to ask you the specifics but when you are reliving the tragic incident, what do you think actually happened? Dr Nupur Talwar: The fact is Sonia, I have no idea. Initially when I woke up and saw what had happened, I obviously thought it was the servant. This is the first thing that will come to anyone's mind. One day later, when the body was discovered and the police started looking here and there, it came to my mind that it was probably some kind of enmity that the servant had. It could be anything, she could have been witness to something happening in the house. How do I know that? She is not here to answer it. No one can answer that. NDTV: All these theories you heard that Arushi and Hemraj were close and that is why Rajesh was enraged. How was Hemraj in the family? Dr Nupur Talwar: Hemraj was the servant whom I had trusted. He was around forty-five years old. An elderly kind of person, who had children and a grand son. I never had any problems with Hemraj, whatsoever. In fact on Thursday, when we had lunch together, Aarushi ate palak paneer, for the first time in her life. I remember Hemraj saying ''She eats pizzas everyday. I am so happy. She ate palak paneer.'' This is the kind of relationship that they had. He always cared for her in what ever way he could. I never thought anything like this is possible ever. NDTV: And all these things, that Hemraj was perhaps a father figure as she was not close to Rajesh, is that true at all? Dr Nupur Talwar: I knew everything about Arushi, Rajesh knew everything about her. All the things that she had in school, her friends and all. She spoke about these to both of us. In fact, there were times when he probably knew most of the things. She used to tell me, today I spoke to papa and we talked about this. It is not possible. The killer is somewhere out there somewhere. NDTV: How are you going to battle this alone? I know you have a very strong support from family. But how are you going to fight this? Dr Nupur Talwar: We will have to fight it out in the court. The truth has to come out. There is no way. I hope there is some justice outside. At least, in God's court I hope there is not so much injustice. I am going to fight till the end. I am not going to sit back and let anyone do what they wish to. NDTV: You have told me that it was a happy day in your life because you had opened Arushi's birthday gift. Tell me about that. Dr Nupur Talwar: It was a normal day. I picked her from school. My sister-in-law was at home. We all had lunch together. I took her to her nani's house. Then I went for work. Then coming back I picked her up from her class. We entered home, generally sat and talked about her birthday plan, about which she was very excited. NDTV: And today is her birthday. Dr Nupur Talwar: Yes, today is her birthday. I have not got time to sit back and talk to her picture. I just haven't done that. Yes, to comeback to that day, she kept calling her friends to make sure who was coming and who was not. The next day I think was the last day of school, so she was planning an outing with friends. After dinner we went to our rooms. The courier had come. We had ordered a camera for her birthday. Rajesh said let us give her the camera on 24th. I said let us give it to her, it is her birthday party, she will take pictures. Rajesh said let her use my camera for that and we will give her a surprise gift. We both entered her room (to gift her the camera) and held it together. She was so touched. Then we opened it. NDTV: As a mother, would you cover up any suspicion that your husband had killed Arushi? Would you cover up? Dr Nupur Talwar: Would any mother do that? Would any mother sleep through the night knowing that the husband has killed the child? I don't think that would make a mother a human being. She has to be some kind of an animal. It is not possible. Can a father kill the child and then sleep till the morning? NDTV: There were rumours about Anita Durrani. She talked to the press and said all this is not true. Did you know Anita Durrani? What is your reaction to the rumours? Dr Nupur Talwar: Dr Durrani is like extended family. I know her since the time Arushi was born. Her daughter and my daughter are of the same age, probably just six months difference. They were like sisters. They have been the part of my family. Whenever any family member had any problem, her husband would come in the middle of the night to take care of them. She came for Arushi whenever she had any problems. We never had any other family doctor. Whenever Rajesh had asthmatic attacks, we have called him up and he has been there in five minutes. Anita has always looked after Arushi. Her home was always the second home, where she felt safe. These are baseless conjectures. NDTV: Tell me about how the last eight days have been like? You must have lived through the worst nightmare of our life. Dr Nupur Talwar: Every day has been hell for me. To see your daughter brutally murdered is like God's worst punishment to me. I don't think anyone can get a worst punishment. I have told Rajesh, we will do something, we will get over it, we will find a life for ourselves. We will do something in her memory, we will not forget her. He was such a broken man. My family told me that you are a strong person, you have to give him strength. He is completely shattered. I am not sure he will be able to recover from this. He will not be the same person by the time this will be over. NDTV: But you will continue to fight for him? Dr Nupur Talwar: Yes I will continue to fight for him and for the family, for Arushi. She will give me the strength for this and no one else. NDTV: What would you like to say to our viewers in memory of your daughter? Dr Nupur Talwar: All I can say is, Arushi has been taken away by animals. My life has come to an end. My husband is taken away too. I do think there is justice there. I will do my best to find justice for me and my family. It is not going to be something that I can let go. I hope there is light at the end of the tunnel. The cloud has to move off.